The helicopter HSS-1 “Seabat” was produced by the American company Sikorsky from the mid-1950s. The Seabat entered in service with the United States Navy to perform anti-submarine mission. The HSS-1 and the utility transport configuration HUS-1 were also used by the United States Marine Corps and Unites States Coast Guard. 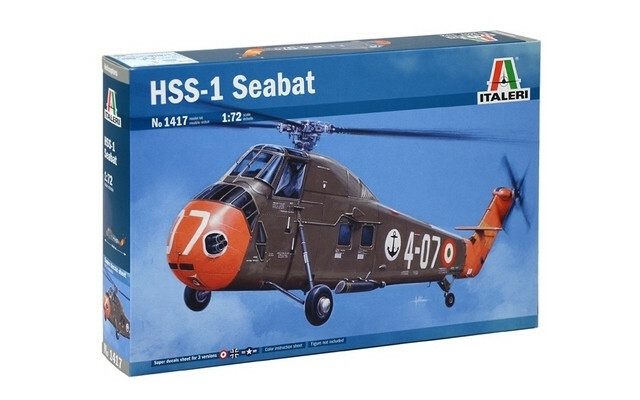 The HSS-1 is considered the first helicopter A.S.W. (Anti Submarine Warefare), specifically developed for this mission profile, and it adopted modern, for its time, antisom research equipment, depth charges and torpedoes. Thanks to its Wright R-1820 Cyclone piston engine the Seabat was able to reach the max speed of 200 Km / h. It achieved a good commercial success around the World. The “Seabat” was used in many countries and even produced under license.